I’m so sad I’m crying. Earlier today Del Martin passed away. It is so terribly sad when our most beloved and valiant warriors fall. What a giant she was in the struggle for equal rights for gay men and lesbians everywhere. She was one of my early and formative icons, and she made life so much better for gay men and lesbians all over this country – whether they know it or not. The National Center for Lesbian Rights has a press release up about her passing. Bless your soul, dear Del. You will never be forgotten. You had the fortitude to stand up for what you believed in when practically the entire world was against you. To me, that makes you one of the greatest Americans. Rest in Peace, Del. God knows you deserve it after all you’ve been through. 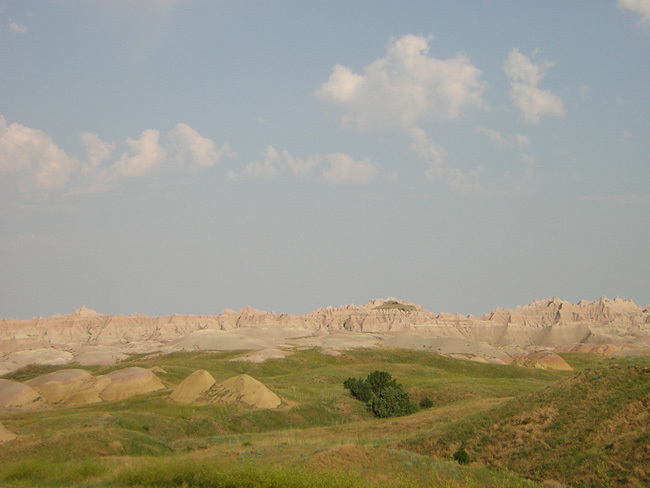 The Yellow Mounds area of the Badlands scenic highway 240 route from Cactus Flat, SD to Wall, SD.